The exhilarating, Audience Award-winning documentary sensation from this year’s Sundance Film Festival, MERU follows an expedition through nature's harshest elements ultimately on to impossible new heights. In the high-stakes pursuit of big-wall climbing, the Shark's Fin on Mount Meru may be the ultimate prize. 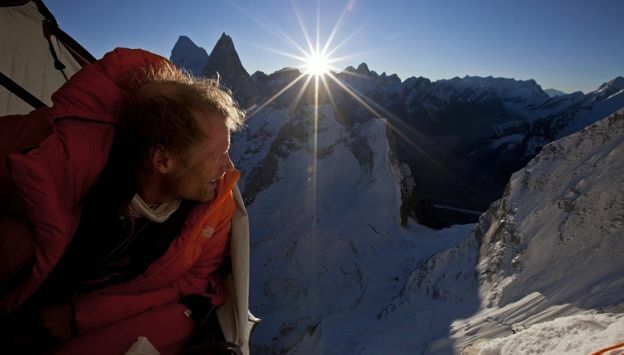 In October 2008, renowned alpinists Conrad Anker, Jimmy Chin, and Renan Ozturk first arrived in India to tackle Meru, but their journey – like all previous attempts – fell short of the goal. By September 2011, Anker had convinced his team to reunite and undertake the Shark's Fin once more, this time under even more extraordinary circumstances.